It's been a fun-filled year with the Mahindra Mojo. She has been on long trips, extensively commuted and even modded a bit. 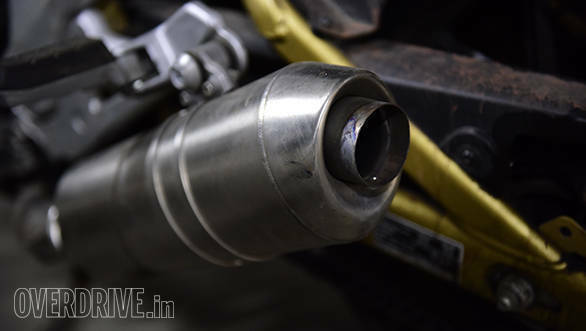 The last bit is a simple DIY trick which involves removing the dB killers from the twin exhausts. The louder exhaust note increases the sense of riding a big motorcycle but it quickly gets tiring, and the mufflers are firmly back in the dual end cans! Having lived with the Mojo for almost a year, here are a few of my likes and dislikes. Good bits: The cycle parts used in the motorcycle are of high quality. Anyone looking at the Mojo will not feel like it is an overpriced machine. The quality is definitely there, be it the frame, panels and especially the tyres. Many a times, the Pirelli Diablo Rosso IIs have held on even when I thought things were going to go all wrong. To top it all, there has been only one puncture during the 12,000-odd kilometres they have endured. Paint quality too is top-notch. The other bit is the riding position - I have never felt any sort of discomfort during the two-hour commutes that I usually undertake. Anis borrowed the Mojo from me twice  once to ride to a track day in Coimbatore and other for a holiday to Goa and enjoyed both the rides. This coming from a guy who owns a 390 Duke is saying something. The pillion, however, isn't really comfortable given the limited space to play with. The engine, which is an important part of a touring motorcycle, plays the role well in the Mojo. 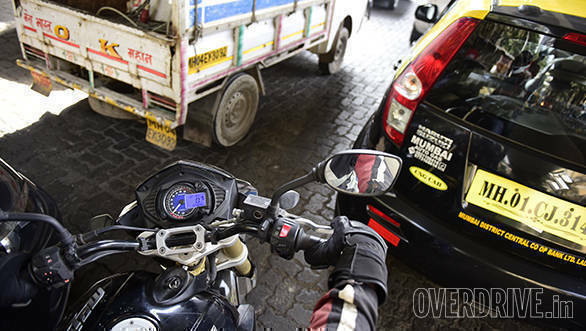 The Mojo can cruise all day at 120kmph without any stress. At this pace, efficiency stays put at a reasonable 27kmpl. Factor in the large 21-litre fuel tank and that's great for long distance riding. Heat management also has been taken care off well and your legs won't cook in standstill traffic. Bad bits: The meters still don't float my boat. They look like they came off a Chinese e-commerce website, and Mahindra could have done better in this regard. Next up are the brakes  more bite and feedback from the JJuan units would be nice and ABS really should have been incorporated from day one. Finally, a lighter clutch lever would have been nice, especially in slow-moving traffic. Overall, the good bits of the Mojo far outweigh the negatives. 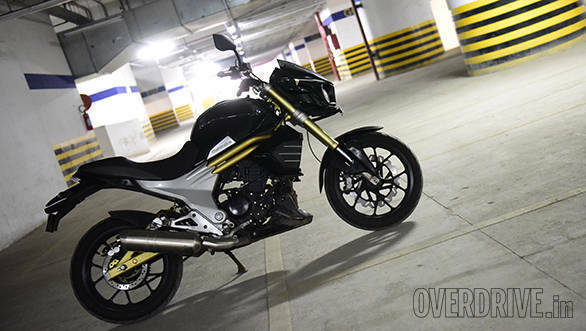 She may not be the immediate choice in the Rs 2 lakh segment but offers a unique blend of strong but unstressed performance that will highly appeal to those not looking for outright excitement. Personally, I'd have the Mojo over either the Himalayan or the CBR250R, but you need to understand what the Mojo is all about before making the decision. For now, I have to put on some extra touring miles on her before both the motorcycle and I exit from OVERDRIVE.